Low carbon concrete has attracted a significant amount of attention due to the exorbitant amount of CO2 that the traditional concrete emits. It is demonstrated that cement has the largest share in the contribution of CO2 emission (75% of total CO2 is emitted by concrete) in the atmosphere, and aggregate is the next largest contributor (less than 20%). CO2 emitted by aggregate is mainly due its consumption during the production of electricity and to a very less extent because of excavation, hauling, blasting, and transportation. Researchers have made numerous attempts to produce concrete with the lowest possible CO2 emissions and have eventually succeeded. Not only does this make concrete more environmentally friendly but also makes structures to meet requirements with regard to environmental specifications. Production of low carbon concrete starts from the quarry of raw materials to produce cement and then head towards the production of concrete. There are certain techniques through which the carbon emission can be reduced, for example, by using cement replacement materials like fly ash, silica fume, and ground granulated blast furnace slag. It is reported that CO2 emitted by a typical normal strength concrete mixes using Portland cement as the only binder ranges between 0.29 and 0.32 t CO2-e/m3. The quantity of emitted CO2 declines substantially when a certain percentage of cement is replaced by cementitious materials such as ground granulated blast furnace slag (GGBFS), fly ash (FA), and silica fume (SF). 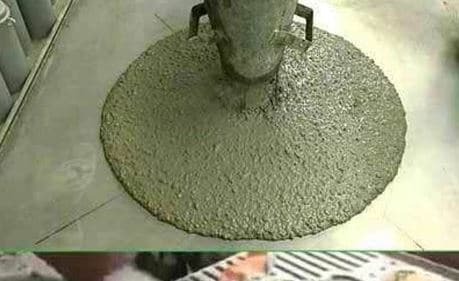 It is also demonstrated that the influence of cement replacement materials soars up to approximately 15–20%, beyond which the rate of decrease gradually slows down. GGBFS is found to be capable of decreasing concrete CO2 emissions by 22% in typical concrete mixes. 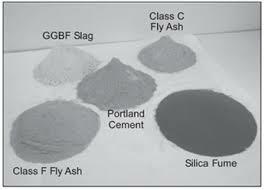 Fly ash is found to be capable of reducing concrete CO2 emissions by 13–15% in typical concrete mixes. Carbon dioxide can be used to decline the detrimental environmental impact of concrete. Carbon dioxide is used to activate early strength and at the same time sequester CO2 in concrete. The carbonation reaction between carbon dioxide and appropriate calcium Compounds results in permanent fixation of the carbon dioxide in a thermodynamically stable calcium carbonate. Recycling construction wastes and rubbles could decline CO2 emission by nearly 6%. Added to that, reusing resources and importing regional materials decline CO2 emissions by around 3%. A significant quantity of CO2 is released during cement production. So, it becomes very important to reduce CO2 emission at this stage. 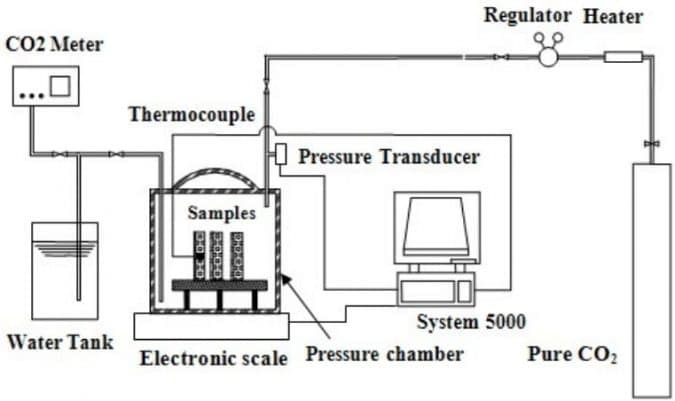 The use of superplasticizers and highly reactive cement as well as the optimization of particle-size distribution and reduction in water content permits a considerable reduction in Portland cement clinker in the cement and concrete. Moreover, it is important to add a suitable quantity of mineral fillers such as limestone powder to provide an optimal paste volume. Additionally, the already practicable substitution of secondary raw materials like fly ash or furnace slag for cement clinker is suitable choice. Finally, the use of highly reactive cement and superplasticizers can reduce CO2 release by up to 35%. This reduction rises to 60% when granulated blast furnace slag is used in combination with highly reactive cement and superplasticizer. Carbon emission reduction up to 75% in comparison to conventional products Accelerated early strength. Improved durability due to the formation of nano-CaCO3 crystals. Low cement and low embodied energy. Steam can be replaced by carbon dioxide.